Tens of £millions of potential additional revenue and savings, up to 40% time saving for the most skilled people, more than 1 million hours of spare capacity – that’s what we know to be possible based on our recent studies in Community Pharmacy enabled by our unique operational analysis tool, v-FlowTM. We partnered with the National Pharmacy Association (NPA) to address the challenges facing Community Pharmacy around the recent government cuts despite a demand for additional services. In order to help their members survive and grow alongside increasing expectations from the Government and consumers, a need to take pressure off A&E and GP surgeries, and a business imperative not to increase the wage bill, Velresco embarked upon a carefully packaged programme of studies utilising our specialist software v-Flow in a pilot programme for the NPA. 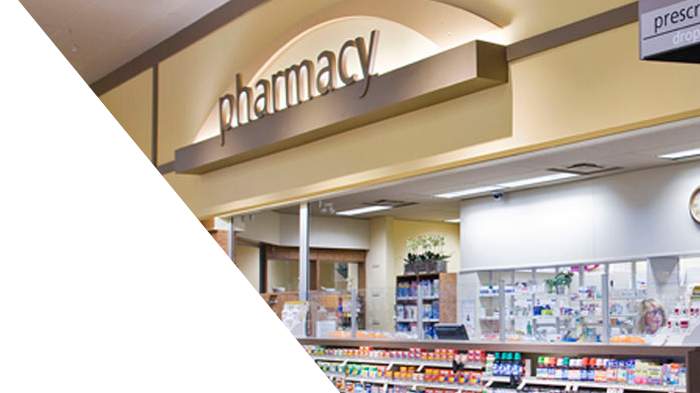 We looked at the whole operation of eight pharmacies (a 'whole systems approach' in technical speak), mapped and analysed core processes and everything which could impact on them – from IT systems to store layout, leadership to equipment and so on. We also carried out studies on each of the Pharmacists to see what potential there was to free up Pharmacist time, to focus on value added extended services. Alongside capturing 1000's of data points, we ran a simulation exercise to engage the participating members in the 'art of the possible' which made them much more receptive to the recommendations when presented. This gave them far higher confidence that change could be delivered successfully. For more information on how to attend one of our ‘Staying ahead in times of change’ 1 day courses, click here. Specific feedback and recommendations, relevant to each participating Pharmacy, which gave rise to even more capacity beyond that mentioned above which was for the top tips alone! Freeing up resource would result in the teams being able to deliver better customer care, as well as meet Government targets for delivering additional services to customers such as Medical Usage Reviews (MURs) and New Medicine Service (NMS) appointments – which also generate revenue. "Velresco were a delight to work with. They have a very friendly and personable approach which our staff grew to really trust. I felt they really valued each member of staff's worth to the company, and carried out objective analysis on where we can tweak things to get the most out of each other. The information presented to us at the end of their study was incredibly informative, with diligently studied quantitative values to back up their recommendations. All the while, the data was easy to analyse, and well summarised at the end. We have already used many of their recommendations in our branches, and have learnt from their team-building workshops how best to understand the ways in which the branches can improve capacity, without a reduction in manpower. Implementing change is notoriously difficult to do effectively. We believe in engaging with staff to allow them to arrive at their own conclusion that change needs to happen. In our experience this leads to change being implemented faster and more effectively, making it much more likely to have a lasting impact. We run a unique simulation workshop for teams – which had a profound impact– allowing them to see the art of the possible and gathering their input and ideas. We find that even the most change-resistant of delegates leave energised and full of enthusiasm for the future. As specialists in delivering innovation and change at pace with decades of experience, we realised that the task of carrying out operational audits like the one we did for the NPA without the use of our v-Flow tool would take at least twice the time and money! So using our performance improvement expertise, we have designed and refined our unique data capture and visualisation tool, v-Flow. Simple to use, the cloud-based tool can rapidly assimilate huge amounts of information, making analysis and reporting as simple as clicking a single button. You don’t have to be a specialist to use v-Flow. We’ve trained internal team members and licensed them to use v-Flow in their own on-going improvement projects, as well as in validating benefits gained as a result of any recommended initiatives.